With this weekend being the last one before Christmas, I thought it would be helpful to provide some last minute gifts for crafters. These last minute gifts are mostly products or books which I've used (and love) or have reviewed here on the blog. You could use some of these gifts as stocking stuffers or as something to add to a gift you already bought. I divided all 101 items into different categories to make things a bit easier. 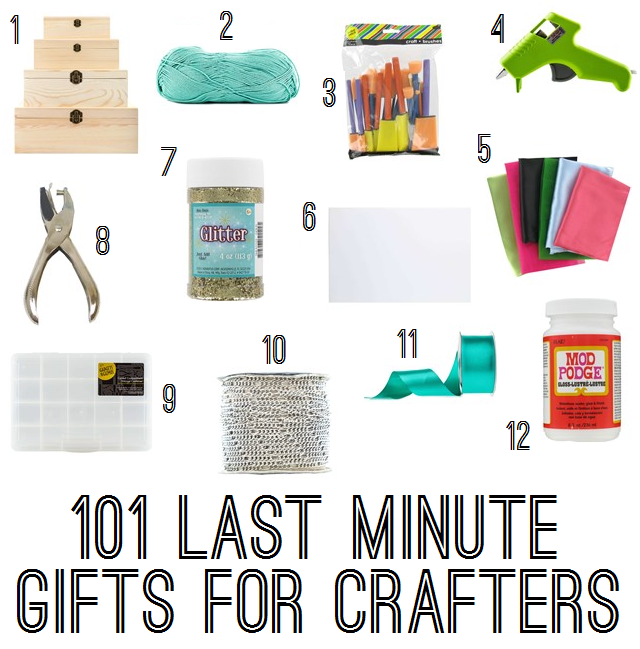 Those are my last minute gifts that you could buy for that crafter in your life. You can find almost all of these items at your local craft store or online. If you want to check out another list of gift ideas for crafters, then check out my Christmas Gift Guide For Crafters. If your a crafter, what would you like to receive as a gift this Christmas?